Become member & get 1st ticket free & 2nd ticket for Rs. 250. 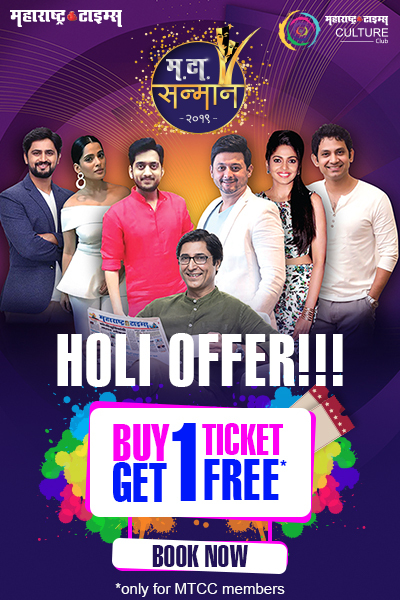 ARTISTS- Pramod Pawar, Siddharth Bodke, Rutuja Rajan Bagwe, Anagha Atul, Vishal Vijay More, Karan Bendre. We often get inspired by various icons of different fields but seldom has it happened than an ordinary person, whose just like one of us, stepped out of all stereotypes to do something unimaginable. This is a story of an ordinary girl, Ananya, who possessed the potential to do something extraordinary. Being a bright student, she was always showered with praise and her confidence never seemed to cease. She was a free-living girl with a lot of ambitions planned for life. She had also got engaged to the person she saw her future with. Everything was pretty and full of sunshine until she met with an accident. Things started turning upside down within no time. Things went so south that her close ones turned their back towards her. Her dreams and ambitions were considered to be over. But she was not a quitter. What she did to overcome the obstacles became a story which was beyond ones wildest imagination. This play will certainly lit you up with self-belief and confidence and it deserves to have a place in your must watch list. This drama play is going to be a wonderful experience.